APANAMA: LIGHT AT THE END OF THE TUNNEL. MALAYSIA is alive ... again! “Our goal is to harness the talent, energy and drive of all of our people. We will be aided in our efforts to provide lasting prosperity by working to spread mutual tolerance and respect between genders, cultures, races, religions and nations. “We will champion inclusiveness not just because it is a foundation for political stability and economic growth, but because it is right. The above is the incoming Prime Minister’s OWN writing which appeared in the WSJ today (18 March,2009). It is truly refreshing and heartening to note that our next PM knows exactly what he is talking about. Think I don’t have to remind this nation of the dark tunnel we have been loitering in since after Tun Dr.Mahathir Mohamad retired in Oct, 2003. 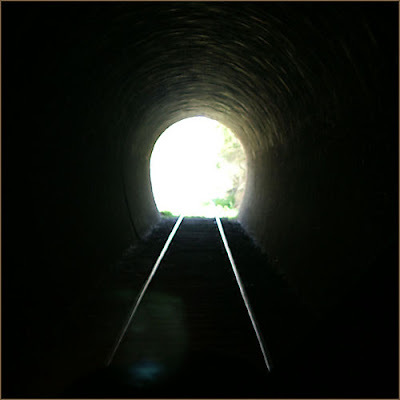 I pray that Najib is the much awaited “Light at the end of the tunnel’ for my beloved Malaysia. Read Najib’s simple, frank yet sensible thoughts HERE. GEMPAR BERITA TERKINI MENGENAI PIMPINAN PKR!